Chef Guy Fieri, host of Food Network's "Diners, Drive-ins, and Dives." 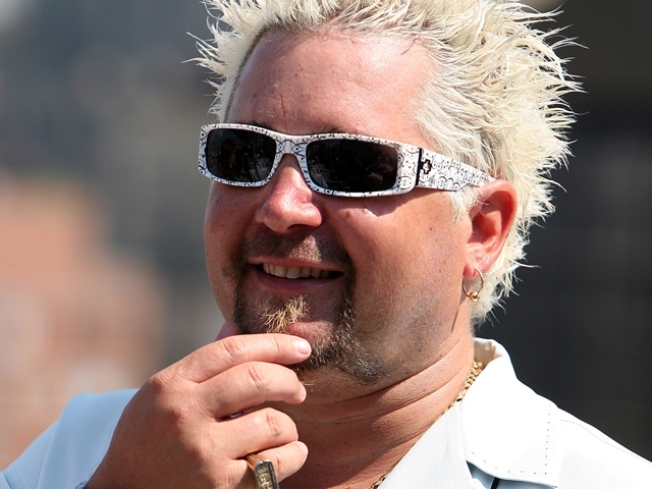 How much would you pay to get a sniff of celebrity chef Guy Fieri? Would you pay $253? That is how much the Food Network personality is charging his loyal fans to shake his hand before his upcoming San Jose roadshow. But money burning foodies won't only be purchasing a chance to see Fieri's blond rock and roll dyed locks up close, they will also get two squirt bottles, a copy of his new book, a tour laminate and a seat on stage. The pre show meet and greet will also give obsessed foodies the perfect opportunity to show the chef their Guy Fieri Halloween costumes. If you can't afford the $253 to meet the chef with restaurants all over Northern California, you could fork over $28 to get in the door at the San Jose Civic Center and get a seat no more than "160 feet from the stage." Can the smell of Guy's ego travel that far?